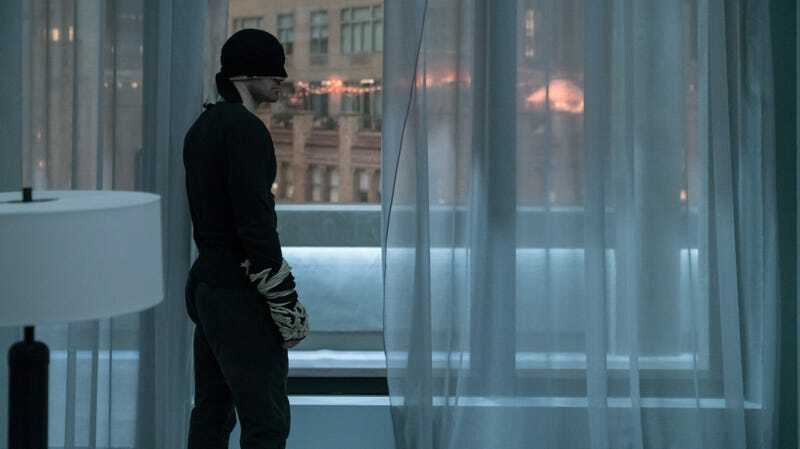 Netflix’s decision to cancel Marvel’s Daredevil was a surprise. No one knew it was coming. Not the stars, not Marvel’s executives. Not even the writers, who were already laying out plans for the next chapter of Daredevil’s story. We got a chance to talk with one of the writers who was working on season four, who shared her shock at the show’s demise and why she think it spells doom for the future of The Defenders TV universe. “If I was a betting woman, you know, my guess is that it’s the end of the Marvel universe on Netflix,” Daredevil writer Tamara Becher-Wilkinson said. In an interview with io9, Becher-Wilkinson shared what it was like being in the room where it happened, as Netflix canceled Daredevil. Becher-Wilkinson, who wrote the season three episode “Karen,” had been brought on board for the next saga. The storyline for season four had already been drafted and pitched to Netflix, and the writers were waiting for the seemingly inevitable news that they would get renewed, despite recent cancelations of Luke Cage and Iron Fist. Becher-Wilkinson was actually in the middle of creating a writing schedule for season four when the news came down. Before joining Daredevil, Becher-Wilkinson worked on the first season of Iron Fist, and said she wasn’t surprised when that series got canceled—due to the poor-to-mixed reception, even after the much-improved second season. But she said she was floored when Daredevil followed suit. Not only because it was a legacy show for Marvel on Netflix, since it kicked off that universe (and the characters were reportedly considered for addition into the film world), but because the series was so well received, by both critics and fans. Netflix hasn’t given an official reason why it’s canceled Daredevil, Iron Fist, or Luke Cage, but there is rising speculation that Netflix is slowly ending all of its Marvel shows because of Disney’s plans to launch its own streaming service called Disney+ next year. Not only will Disney and Marvel movies leave Netflix and head to Disney’s platform, the network will have its own Marvel Cinematic Universe shows centered around characters like Loki and the Scarlet Witch. Co-executive producer Sam Ernst previously shared on Twitter that he regretted that fans wouldn’t be able to see what they had in store for season four unless the series or storyline was picked up somewhere else. When asked about what they were working on, and what fans are missing out on, Becher-Wilkinson wasn’t allowed to discuss any specifics “under penalty of death,” but she did reiterate what Ernst said: It would’ve blown fans away—much like the rest of Daredevil, a show she was proud to work on and whose legacy she hopes continues, even as the story has come to an end.